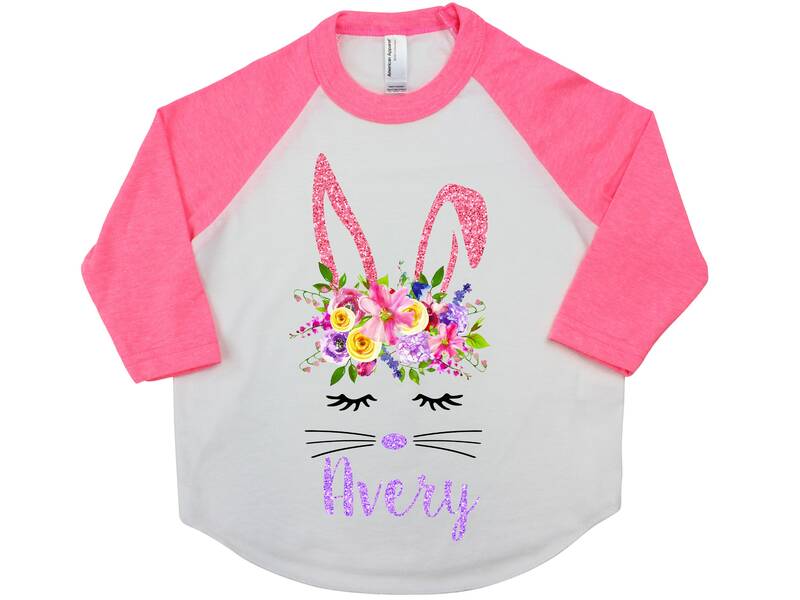 Floral Bunny Face Shirt or Bodysuit. Please note the name in the notes section of your order or use the personalization box provided. This top is printed by us using water-based ink. Please select the size you need and then choose the shirt type from the drop-down menus. 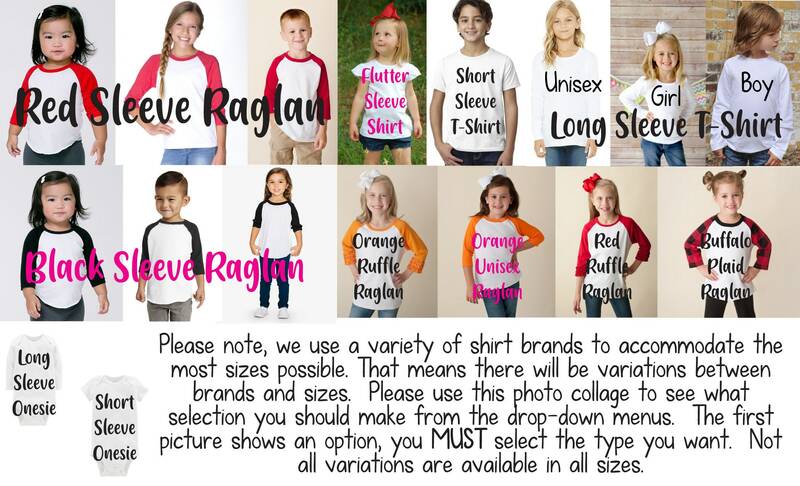 Not all shirt types are available in all sizes. Can’t wait for my daughter to wear her new shirt for Easter! Very Fast Shipping, Thanks!